Independent Senator Nick Xenophon is calling for the Financial Ombudsman Service (FOS) to be disbanded and replaced with a government body in the wake of a controversial case that has raised issues of trust and credibility in the bank-funded dispute resolution scheme. “This is a very serious case that relates to issues of the credibility of this service,” Senator Xenophon told 7.30. His comments come after the Goldie Marketing court case, during which a senior official in the FOS made inaccurate file notes of phone conversations. 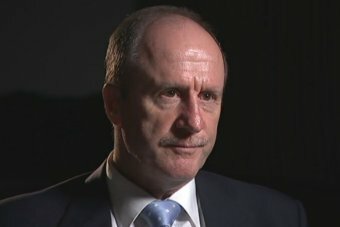 Dr Justi Tonti-Filippini, the office’s Financial Ombudsman Decisions, told Bruce Ford, advocate for Goldie Marketing, the small manufacturing business seeking redress, that FOS could not hear the case because of a staff shortage, after suffering “a significant loss of banking advisors” including its “business banking guru”. Goldie Marketing challenged that decision in the Supreme Court of Victoria. It argued that ruling the case out because of a staff shortage was not a valid exercise of the ombudsman’s jurisdiction. Photo: Dr Justi Tonti Filippini appearing before a Senate committee in 2009. In response, FOS furnished file notes Dr Tonti-Filippini made of phone conversations with Bruce Ford. Some of the content of the file notes was at odds with what was actually said in the discussions. According to a file note made by the ombudsman, she spoke to Bruce Ford on October 20 and “rattled off reasons” for ruling the case outside FOS’s terms of reference. The reasons included “complexity, FOS can’t compel testimony production, overseas dealings, cross collateralisation, combative delaying tactics of the parties”. Dr Tonti-Filippini described this as her “heads up call to discuss my preliminary view”. In a phone call the following day, Dr Tonti-Filippini said she was exercising her discretion to knock the case out because FOS did not have “the in-house knowledge” to deal with the dispute. “If anything I may be prejudicing myself by being transparent … when our business banking guy was still here, we would have taken it on and the dispute has merit in my view,” she said. Why do the Ombudsman’s file notes diverge so extremely from what she actually said in the telephone conversations? Did FOS attempt to advance their case at all costs? Senator Xenophon said he was of the same mind. “Given the discrepancy between the recordings, the file notes and what the financial ombudsman apparently said, that raises some big questions about the way the organisation operates,” he told 7.30. Photo: Dispute advocate, Bruce Ford, recorded his conversations with the Financial Ombudsman. 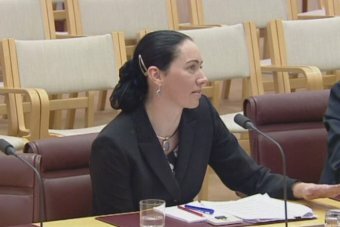 FOS rejected the allegations in its submissions to the Senate inquiry, saying there was “no evidence to support the conclusion that the Ombudsman used or created the file notes to mask the reason for her decision”, and that no allegation of fraud or lack of good faith had been made in court. Goldie Marketing gained an injunction to stop FOS ruling the case out after a judge found that on the face of it, a staff shortage was not a valid reason. But in the final judgement, the court ruled in favour of FOS. It found that the formal, written reasons FOS gave for ruling the case out were reasoned and compelling but, in any event, the service has very broad discretion to rule cases outside its terms of reference and a staff shortage would have been reason enough. Dr Tonti-Filippini said that under FOS’s protocols, she could not comment. Senator Xenophon said the discrepancy between the file notes and the recordings had not been adequately explained. “It is simply not good enough for the FOS to say that this case has been dealt with,” he said.